Menehunes fall in the championship game to the row. 64 to 57. It just wasn't the Menehunes night. PLAYOFFS: Round 1: Menehunes-Box Out! vs. Airsoft GI 5pm, Sunday December 11, 2011. Menehunes-Box out win 55 to 41, over the defending champions Airsoft GI. Menehunes were lead by Jimmy Miyasaka with 26points-11rebounds, Billy Hofman added 11points, Reuben added 10points, Pierre added 5points, while Scott Holbert added 3point. Menehunes advance on to the Semifinals next Saturday. MENEHUNES-Box OUt! play #2 Shadows next Saturday for the Semifinals. Menehunes-Box out! is the top seeded team on the Saturday division, they will take on the 4th seeded team on the Sunday division Airsoft GI. I dont know much about this team but any team seems to beat any team in this league. They just recently lost to the #1 seeded team Ice Demons by 3points. They are a dangerous team but the Menehunes will be focus for anyone. Come out and support the Menehunes as they make there first run for a PTBA Championship! Game 9: Saturday November 19, 2011, Menehunes 65 defeat PRST 58 in the last game of the season. Menehunes-Box out had a chance for revenge after loosing to PRST 2 weeks ago. This game went back and forth and was tied at the half and Menehunes didnt take the lead until the last 1minute and 25 seconds left in the game. Jimmy Miyasaka lead all scores with 35points-10rebs, Jun Uchida and Reuben Medina each chipped in with 10points, while Scott Holbert added in 8points, non bigger as the basket to put Menehunes up with a little over 1 minute remaining, and Ryan Lee pitched in with 2 points of his own and played tenacious defense on PRST best offensive player. Menehunes close out the regular season with a 6-1 record. Menehunes came out flat and trailed the whole game until the final minute. Jimmy Miyasaka knocked down 5 free throws to tie up the game on consecutive plays while Mark Nitake drilled a 3 pointer with time running down to ice the game for Menehunes. Menehunes move back to the #1 spot in the Saturday division with a 4-1 record. Mark Nitake 20pts-5rbs-5ast, Jimmy Miyasaka 16pts-5rbs, Ryan Lee 12pts-3rbs, Scott Holbert 4pts-5rbs-2ast, Jason Murashige 3pts-1rb, Pierre Recinto 2rbs-2ast. Menehunes-Box out! came out on fire. They were lead by Rookie of the Year Jason Murashige with 20points. Jimmy Miyasaka 28pts-15rbs-7ast-3sts-1blk, Mark Nitake 25pts-8rbs-8ast-1st, Jason Murashige 20pts-2rbs-2ast, Ryan Lee 11pts-6rbs-2ast, Scott Holbert 10pts-15rebs-2ast-2blk-2stl, Pierre Recinto 9pts-7rebs-3ast. Game 5: Saturday November 5, 2011. Menehunes-Boxout fall to PRST 83-80, Menehunes fall to 3-1 for the season. Menehunes trailed at the half 46 to 41 but tied it up with 10 seconds to go in the game, with a 4point play, until committing a costly foul at the end to make PRST win the game at the free throw line. Menehunes looses 83 to 80 and were short of players once again missing a key player Billy Hofman and Bryant So. Scott Holbert had 11points-6rebounds, Reuben Madina had 7points, Jason Murashige 1assist-1rebound-1steel, Pierre Recinto 8points-2-3pointers, Brian Sherman 7points, Jun Uchida 15points-4rebs-4assts, and Jimmy Miyasaka 32points-7rebs-3assts. Menehunes will get a second chance at PRST in 2 weeks! Menehunes-Box Out keeps there streak alive. They defeat Da Cov's Finest 77 to 71. Jarrod Carroll led the way with 26 points, while Billy Hofman had 23 points, 8 rebounds, and 6 assist, Mark Nitake added 20points of his own, Bryant So had 4points and 6 boards, Jason Murashige had 4points, and Ryan had 13 rebounds! This was the first game Menehunes had a point guard on the court (Billy Hofman) this whole season thus far and it showed by him creating easy offense for the Menehunes. Menehunes were missing center Scott Holbert, Reuben Medina, Pierre Recinto, and Captain Jimmy Miyasaka who will be out for a few weeks due to a health concern, and may even considering on retiring from basketball. 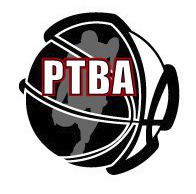 Menehunes are on a break from the PTBA league until November. From the opening tip the Menhunes-Box Out(MBO) stayed in control the whole way. The MBO jumped out to a 38-21 halftime lead. MBO dominated the second half as well and ended up winning by 32 points. Reuben Medina had 17 points while playing almost the whole game and dished out 5 assists and 8rebounds. Jimmy Miyasaka who saw limited minutes also scored 17 points, while Pierre Recinto tailed in with 11 points. Scott Holbert ended up with a double-double 10points and 10 rebounds and had an impressive 7 steals. Ryan Lee ended up with 9points while Jason had his season high with 7points, and Bryant So tailed in with 4 points. Everyone played well and Menehunes-Box Out goes 3-0 for the season. Minh Thong had 18points, Long Nguyen had 10points, Danieal Doung had 7points, Alex Tonjez 5points, and Mike Voong 2points. Menehunes-Box Out! came out a little flat but held onto a 28 to 20 lead at the end of the first half. However Ice Demons tied it up with 16 minutes to go in the second half, then Menehunes-Box Out! made there push to finish them off. Menehunes dominated the boards, Scott Holbert and Andrew Der both had 11 rebounds, Bryant So and Jimmy each had 7 rebounds each. Menehunes were lead by Jimmy Miyasaka with 29 points for the game. Menehunes were 9 for 28 from behind the arc. Ryan Lee made 2 big 3 pointers one during a crucial run in the second half. Ice Demons were lead by Simon Lo with 16pts, and James Cheung had 12 points to lead there team. Game 1: Saturday September 26, 2011 at 2pm. Menehunes-BOX OUT! 60 defeat The Row 56. The Menehunes-BOX OUT! made there opening debut with just 5 guys. However they made it rain from the outside by connecting with 11 3-oointers for the game. Pierre Recinto had 5, Jimmy Miyasaka had 4, and Reuben made 2 3pointers. This seemed in control by the Menehunes BOX OUT(MBO), however The Row made there comeback to bring the game to 3 points with little over a minute to go in the ball game. MBO finished them off by connecting with free throws to pull out the victory. Jimmy Miyasaka lead the way with 25points, while Pierre had 15 points of his own, and Reuben had 12 points. Scott Holbert lead the team in assist with 5 for the game by showing off his no look passes his ball handling skills, and Jason Murashige "The BEAST" lead the team in blocks with 1 for the game. Gerad Chin lead the way with 19 points, 3-3pointers. Harris Javier had 10points, and Shon Pruitt had 10points, Adam Wong had 9points 3-3pointers, while Nick Wong had 6 points 2-3pointers.